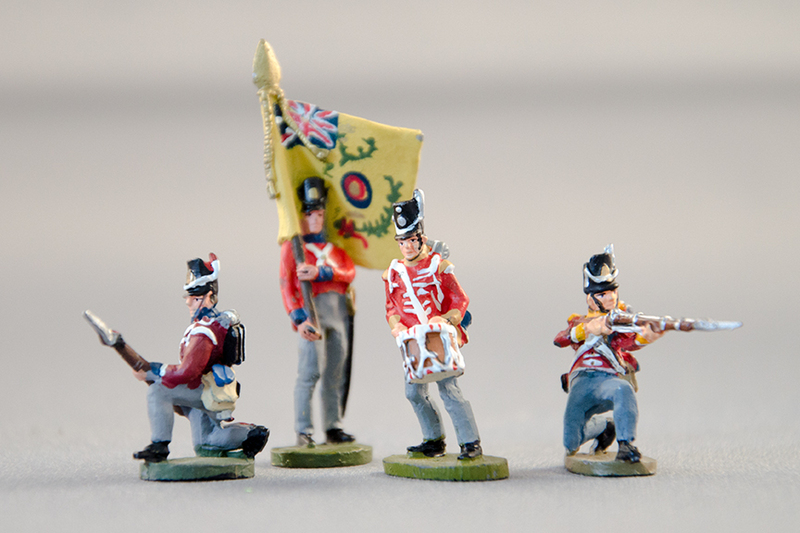 These four ‘little’ 25mm soldiers are British Infantry of the Napoleonic wars. They represent troops in this scale, and others in 28mm, 15mm and even 6mm!, that restage battles on war gamers table tops in every era of history, from Ancient times to World War two. But more, they can become excellent display pieces for those collectors with limited space.